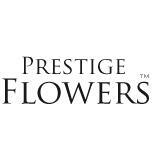 Jave been so impressed with Prestige Flowers. Used them quite recently snd have since used them again. And to my surprise was lucky enough to also receive flowers from them. Not only were they packaged perfectly but arrived in excellent condition. When arranged literally straight into a vase i was lucky enough to have the pleasure of them for 2 weeks.